THE Mayor of Gaucin has flown the nest after bankrupting the town’s coffers. 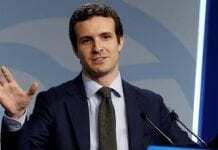 Branded an “ostrich” for burying his head in the ground by opposition rivals, Francisco Ruiz (pictured) has seemingly disappeared without a trace. 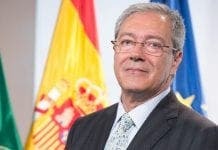 “He cannot bury his head like an ostrich, he needs to come back and find solutions, as this situation is not only his fault, but also that of his team,” explained former PSOE Mayor Teodoro de Molina. Molina believes the pressure caused by the town’s financial problems led to the Mayor’s disappearance. “The role was too big for him. 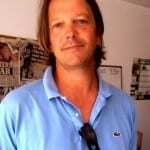 Everyone in Gaucin knows he has disappeared,” Mollina added. Meanwhile, Ruiz’s deputy, Rosa Blanco, insisted he was on leave for personal reasons. She explained that Francisco Macias was now the acting Mayor. i’m interested in following this story, as I don’t believe what anyone has to say anymore, never mind corrupt, the thinking is morally corrupt, always has been always will be, these villages need to be brought under control by a more central administration locally. Naomi. If you want to know why the mayor of Gaucín disappeared, just go to the village and ask! Everybody knows why. The Olive Press knows why too, but will they be brave enough to print the story in next week’s edition? I wonder? If its in the public domain, and ‘everybody in the village and olive knows why’ what’s stopping the story? How bad can it be compared to all the other misdemeanours that have been allowed to continue…. brave new world and a bit of humility wouldn’t go amiss. Ask the editor! I gave them the story last week. I imagine they’ll investigate and if the facts support the story, they will probably run it.